Vedic Maths franchise Chandigarh – Do you know the importance of Vedic maths training? If yes, then you may be aware of the fact that the franchise of Vedic Mathematics is even more important & beneficial in the today’s time. We at Rajmin Academy offers the best Vedic Maths franchise opportunities in Chandigarh. For more details or availing our services, you can contact us on – 92568-93044. Vedic Maths is an old, tried and tested techniques of the ancient times that is beneficial in learning Maths easily. Mathematics is one of the most hated subjects of most of the people because of the obvious reasons. You can achieve the excellence in this subject only by proper concentration. And Vedic math helps in achieving that easily. 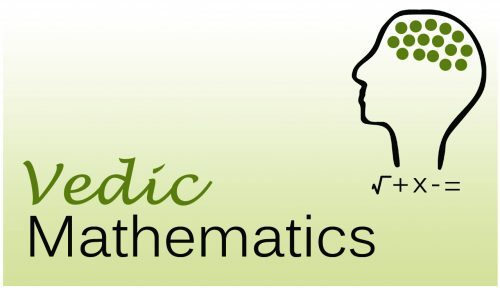 Vedic Maths is a collection of techniques and various methods to solve mathematical arithmetics in easy and faster way. It consists of 16 Formulae and 13 Sub Formulae which can be used for problems involved in arithmetic, algebra, geometry, calculus, conics and much more. It has several benefits in store for you so that you can excel in the academics and develop an overall personality. 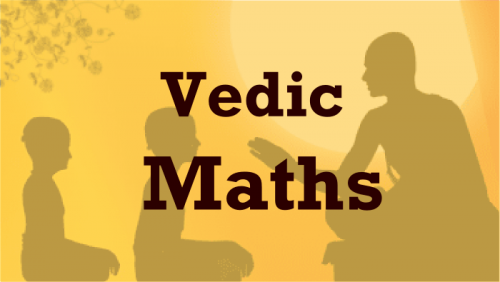 How can Vedic Maths help you? Learning High-Speed Vedic Mathematics will enable you to calculate much faster compared to the conventional system. You will be able to do seemingly difficult calculations in split seconds which will make a remarkable difference to your confidence and self-esteem. Below mentioned are some of the other benefits of learning Vedic maths to compel you to learn it right away. Vedic maths helps in eradicating the fear of maths completely from your mind. It consists of various ancient methods that not only help you learn maths better but also increases the concentration power. It helps in increasing the mental agility and intelligence. The techniques in Vedic maths helps in improving the overall academic performance in the school. It also helps in improving the memory and self-confidence. It increases your speed and accuracy which will have a positive impact on your overall performance in the school. The time is changing and so does the people’s mind and thinking. People are now giving preference to the old and effective technique than to the cramming techniques. With the increasing demand of Vedic math institutes, the demand for its franchise business is no different. People can get a lot of benefits and profits with the investment in the Vedic Math franchise business. And in a place like Chandigarh, a number of benefits you receive will just get doubled and tripled for the most obvious reasons. The literacy rate of Chandigarh is high, therefore, they want the best for their children as well. So, the scope of your success is high in this type of franchise business. What makes you choose Rajmin Academy for the best Vedic Maths franchise services in Chandigarh? If you are looking for the perfect franchise service providers in Chandigarh then we could be the best option for you by every means. We are known to give the franchise opportunities to the willing customers. If you are still having double thoughts about choosing us then we have come up with the best reasons. Scroll down to check them all out. We provide the top-notch franchise service at an affordable rate so that the education system can get better. You can be the boss of your own franchise business and can handle things your own way to get more profits. We also invest our time in teaching you the various Vedic math techniques so that you can run the business in the appropriate manner. You can get better profits and benefits in lesser investments by choosing us. Therefore, I hope this might have been helpful for you in some ways or the other. You can feel free to contact us anytime to get hands on the best franchise services in Chandigarh. So, go ahead and now browse us to choose the best franchise opportunities.